Introducing the tokyobike customisation case series! Creating your own unique tokyobike style is easy, and we hope we can give you some ideas! 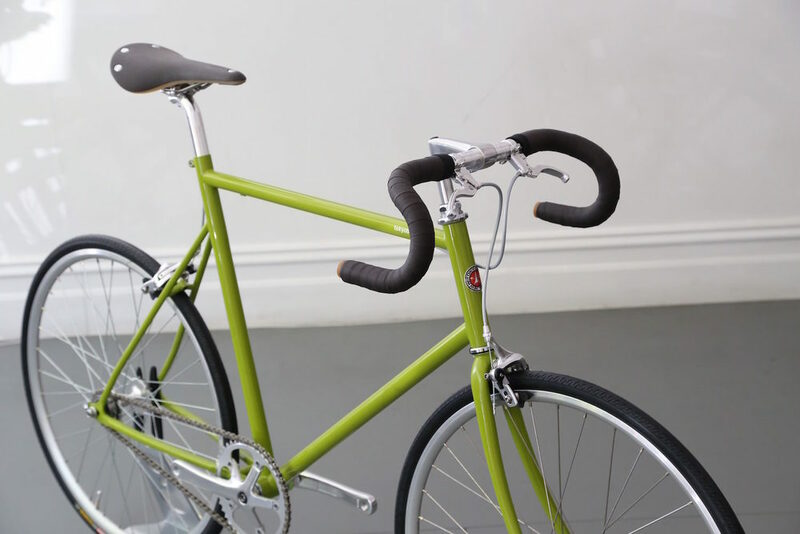 Featuring our Single Speed model in Sprout colour as our first runner, we have created an urban style racing bike. The key feature of this customisation is the Fairweather drop handlebar, created as a collaboration between well-respected Japanese bike brand Blue Lug and Nitto. Inheriting the classic drop handlebar shape, but with a shallow drop and shorter reach, this handlebar is designed as a compact, modern racer style. To accompany this drop handlebar we used Dia Compe two finger grip brake levers in silver. 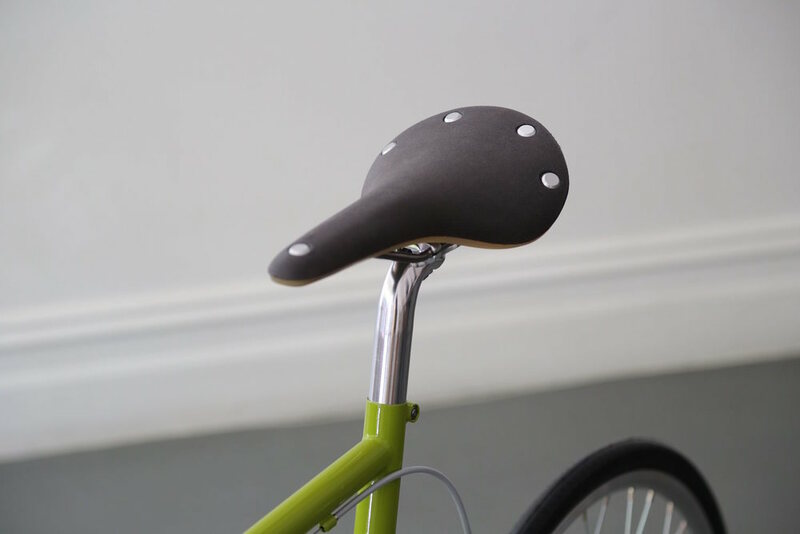 This minimalist brake levers fade into the overall frame of the handlebar and help to create a sharp and clean look. To compliment the fresh sprout green of the bike frame we have covered the handlebars in Brooks Cambium cotton bar tape and matched it with a Brooks Cambium cotton saddle also in slate. Using Cambium cotton as opposed to leather creates a look that is modern as opposed to classic. To round out our focus on dark accents we opted for Black Kenda tyres, which toughen the green frame, and give it cool edge. This bike is currently on display at our Melbourne store, if you're in the area please come visit us!